Denark Construction, Inc. 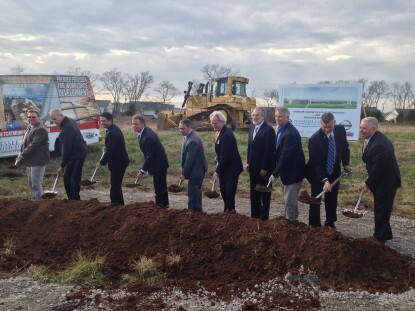 Breaks Ground on New TCAT Nissan Facility in Smyrna, TN - Denark Construction, Inc. The Tennessee Board of Regents and Nissan have broken ground for a new $35 million training center in Smyrna. The 150,000-square-foot-plus center is near Nissan’s Smyrna Vehicle plant and will operate as an extension of the Tennessee College of Applied Technology campus at Murfreesboro, but the TCAT-Murfreesboro and Nissan will occupy it jointly. The center was included in the fiscal year 2014 budget as part of Gov. Bill Haslam’s Drive to 55 initiative to increase the percentage of Tennesseans with a college degree or certificate to 55 percent by the year 2025. The project is scheduled to be completed in 2016 and will offer a variety of training programs, including automotive technology, mechatronics, welding and other programs related to advanced manufacturing. Denark Construction was awarded the job based on a competitive Request for Proposals through the Tennessee Board of Regents. Tuck-Hinton Architects is the designer.